Thum! Kaun Aata Hai? : Do Indian Plans to Counter Chinese Threat Help China Tighten the Noose? Do Indian Plans to Counter Chinese Threat Help China Tighten the Noose? In the Sino-Indian stand-off along the LAC, India seems to be doing the talking, and China the walking. Bureaucratic tardiness in defense procurement and a loud mouthed press seem to be giving China both clues and time to make sure India remains hopelessly on its back foot. 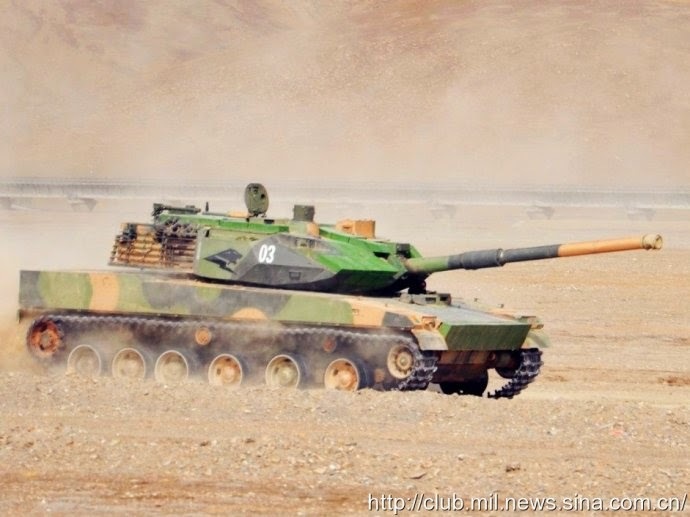 Invariably, the PLA is already doing what the Indian Army plans to do! Look at these examples. India invited bids for 15 heavy-lift helicopters in May 2009 to ferry the BAe Land Systems M777 ultra-light howitzers that the Indian Army intended to procure for its new raising - the XVII Mountain Strike Corps. Boeing (CH-47F Chinook) and Mil (Mi-26 T2) submitted competing bids. In 2012, following extensive technical and commercial evaluation, Boeing's bid was assessed as being more competitively priced and the government decided to procure the helicopters from the US under FMS. In parallel, a decision was also taken to procure the M77 gun from the US under FMS. Both projects have made no headway so far! Meanwhile, China recently tested a Z-18A helicopter on the Tibetan plateau at an altitude of 8000-m. The helicopter is reportedly meant to transport AH-4 155 mm light artillery system developed by the China North Industries Corporation which weighs around 4 tons! The Z-18A can also be used for anti submarine warfare and as a troop and VIP carrier. Our press has talked ad nauseam about the M777/Chinook projects but there has been hardly a mention of the Z-18A and AH-4 155-mm gun. Incidentally, China also has 18 "Black Hawk" attack helicopters manufactured by Sikorsky that can operate on the Tibetan plateau, just in case you were thinking about the 22 Apaches to be procured along with the Chinooks under FMS. The Chinese are not just a few steps ahead in the game. They are far ahead! It was recently reported that Russia and China will co-develop a high altitude version of M-26T helicopter with a take-off weight of 38 tons for use on the Tibetan plateau. The Indian Army biggest fear along the LAC is that China might use its superior infrastructure to rapidly mobilize PLA formations and launch a determined push into Arunachal Pradesh, overwhelming Indian forces which would still be in an early stage of mobilization. Faced with such an eventuality, the Indian Army's only counter would be to open another front, break through Chinese defenses and use armor to strike deep into Tibet. The problem with the strategy is that it requires light tanks that can be easily transported to the LAC. India doesn't have light tanks and is relying on it medium sized T-72s and T-90s to do the job! Despite the difficulty in transporting them on the poorly built border roads, the Army has managed to do position these tanks along the LAC. DRDO hasn't been of any help to the Army in terms of light tanks. According to the DRDO the 60-ton Arjun behemoth is the answer to all armor requirements of the Indian Army! India signed a deal for procuring six C-130J-30 Special Operations aircraft in 2008 from the US through FMS. All the 6 aircraft have been delivered. One aircraft - KC-3803 - was lost in an accident on March 28, 2014. In July 2014, India ordered an additional 6 aircraft bringing the cumulative value of the purchase to $2.06 billion. The C-130J procurement is mostly aimed at supporting the newly raised MSC's operations on the Tibetan plateau. The aircraft handles well at high altitudes and can land in pitch darkness on unpaved landing grounds.